At the same time, fantasy faces a multitude of challenges that can only be overcome by changing the industry itself. There are uncertain legal statuses, high marketing budgets, complicated user verifications, money withdrawal problems, and complex interfaces, just to start. The market is mainly split between two main players who pioneered the industry, DraftKings and FanDuel. Investors were surely appreciative when they did it, but these companies now have serious problems that include badly balanced marketing budgets, little external competition, a number of monopoly scandals, and the inability to challenge the tough laws and regulations that control the business of fantasy sports. MyDFS doesn’t try to compete with industry leaders, but redefines the industry itself. MyDFS overcomes legal issues by using ERC-20 Ethereum-based cryptocurrency tokens. These replace real money in the game, meaning people from all over the world can play without worrying about the game’s legality. MyDFS makes the gaming process as simple and straightforward as possible, attracting more sports fans to fantasy. uTrener DFS launched in Russia. We've lauched the first russian daily fantasy sports app for iOS, Android and web. Kontinental Hockey League app launched. A white - label application for the #1 hockey league in Europe was launched and featured by Apple in AppStore. uTrener app got a UK Gambling license. Now we 've got a gambling license to start our business in UK. MyDFS development started. We 've decided to start an ICO to sell MyDFS tokens that are used in Fantasy Sports. MyDFS investor functionality is ready. Investor app is up for security audit and alpha testing. New features are added to MyDFS app. New features are launched in beta - version. MyDFS basic gaming functionality is ready. User app is ready for testing by members of the whitelist and investors. Pre-ICO sale starts. We’ ll only sell tokens with good bonuses to a limited amount of investors. MyDFS investor wallet is publicly accessible.People in whitelist and select investors can start making orders and using the investors app. Pre-ICO finishes. Preparing for ICO. 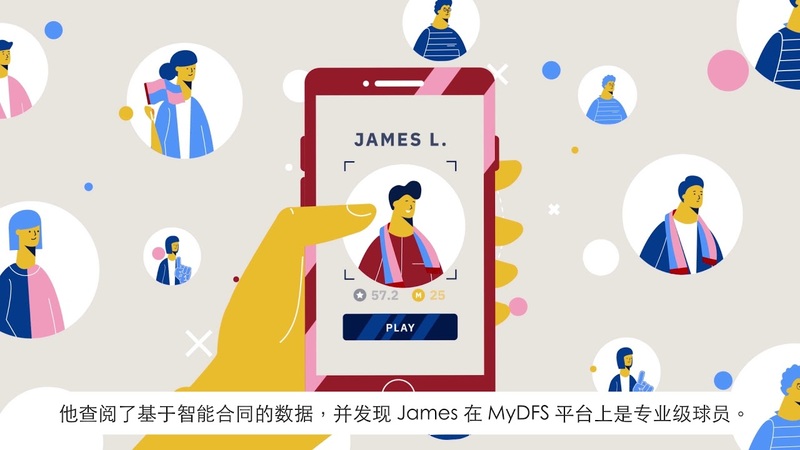 Soft launch of MyDFS app. The app is going to be released in App Store and Google play in several countries. ICO starts. ICO opens and tokens are available to buy for everyone. MyDFS app is fully ready. App is fully playable and available in AppStore and Google Play. The app is fully ready for the biggest soccer championship. 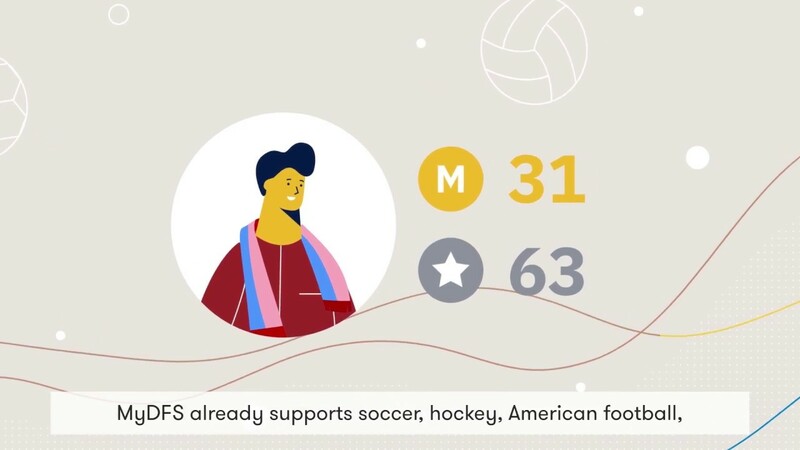 Sports data is fully integrated.The app provides live soccer scores and other related information. ICO finishes. ICO is fully finished, unsold tokens are burned. Intensive public marketing & PR campaign starts. We unroll a big marketing campaign to get as much users as possible on board before the biggest soccer event of 2018 starts. NFL is included to MyDFS. Users will be able to pick a team of real American football players. NBA is added to MyDFS. Users can create or join NBA league and manage own team. MyDFS card is issued. Users can use MyDFS card to cash out tokens. MyDFS app is launched on Apple TV. MyDFS TV app is available for download from the App Store on Apple TV. Can I contribute with fiat currency? No. You can only buy Ethereum, Bitcoin, Dash, Ether Classic, Bitcoin Cash and Litecoin in exchange to fiat money, and then contribute with them. We accept Ethereum, Bitcoin, Dash, Ether Classic, Bitcoin Cash and Litecoin. What if I don’t have ETH or other cryptocurrencies? In order to participate in MyDFS ICO, you should purchase Ethereum, Bitcoin, Dash, Ether Classic, Bitcoin Cash or Litecoin first. In order to do this, you should have ERC20 compatible wallet. In order to purchase Ethereum, we’d recommend using one of the major exchangers that sell Ethereum for fiat or other cryptocurrencies. For example, Coinbase, Bitfinex, EtherDelta, Binance, etc. An ICO (Initial coin offering) is a process in which a new cryptocurrency project sells part of its cryptocurrency tokens to early adopters and enthusiasts in exchange for money. That may be fiat money (real centralized currency, like $ or €) or other cryptocurrencies. The ICOs provide a way for cryptocurrency project creators to raise money for their operations. Most ICOs raise money in Bitcoin or other cryptocurrencies. Pre-sale or pre-ICO starts on April 16, 2018 and lasts till May 6, 2018. The crowdsale or ICO starts on May 21, 2018 and lasts till June 12, 2018 or until the hard cap is reached. MyDFS token basic price is $1. The price may be higher or lower depending on selling stage and amount already purchased. Currencies accepted: Ethereum, Bitcoin, Dash, Ether Classic, Bitcoin Cash and Litecoin.